LeBron James has decided he no longer needs the guarantee of endorsement money, and has instead focused on ownership in a new innovative pizza chain. James has decided not to renew his option with McDonald’s, and will lend his name and marketing power to fast-casual pizza franchise Blaze. In 2012, James became an original 10 percent investor in the parent company, which has grown into a strong player in the pizza game. Blaze Pizza isn’t your typical pizza chain. Their model is literally changing the future of the fast casual industry altogether. I initially invested in this company because I knew it was a special idea that offered something people would want. Now I’m excited to go all in with Blaze Pizza in this new role and continue to give people a whole new experience. 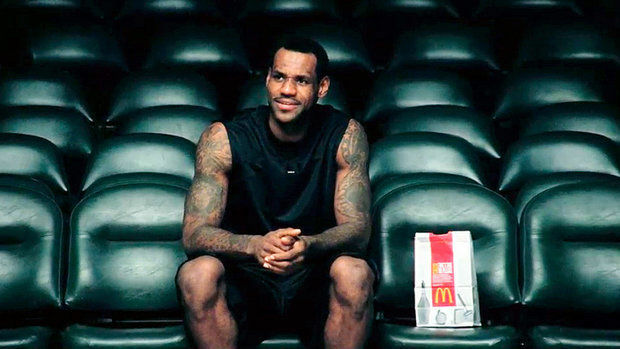 In February, James made a disparaging remark about the fast-food giant when he said “I ate McDonald’s my first couple years in the NBA” to illustrate his point that he didn’t take good care of his body as a rookie.